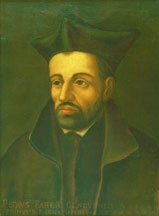 St. Peter Faber, a master of the Spiritual Exercises, was the first of St. Ignatius Loyola’s six companions. Peter Faber and Ignatius met in Paris, where Faber had come to study after life as a shepherd on the mountains of Savoy. Peter Faber was the first of the companions to be ordained. Peter Faber had a gentle spirit and a tendency to be very hard on himself. Ignatius proved to be the perfect mentor for him, and Faber eventually became the master of the Spiritual Exercises. While hard on himself, Faber was gentle with others and became a gifted pastor of souls, winning others for Jesus. Faber was sent to Germany in 1541, where he found the state of the Church in such disarray that it left his heart “tormented by a steady and intolerable pain.” He worked for the renewal of the Church a person at a time, leading many in the Spiritual Exercises. Princes, prelates, and priests would especially find Peter Faber a gentle source of instruction and guidance leading to renewal. Between 1544 and 1546, Peter Faber tirelessly continued his work in Portugal and Spain. Throughout all of his mission years in Germany, Spain, and Portugal, Faber traveled on foot. His final journey in 1546 was to Rome where, exhausted from his labors, he died in St. Ignatius’s arms at the age of 40. Pope Francis announced the canonization of Peter Faber on December 17, 2013. Blog posts about Peter Faber, SJ. In this biography by the noted Irish historian Mary Purcell, Peter Faber, the importance of his works, and the upheaval of the times in which he lived are brought to life. Marian Cowan, CSJ, comments on the spirituality within the Spiritual Exercises as seen in the writings of Peter Favre, SJ. 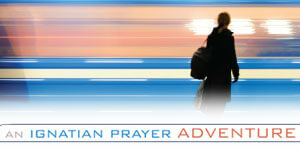 The presentation was given during the Province Days of the Wisconsin Province of the Society of Jesus. This video is the third link down on the page. This 20-page article from the Review of Ignatian Spirituality knits together the life and spirituality of Peter Faber, one of the first Jesuits.